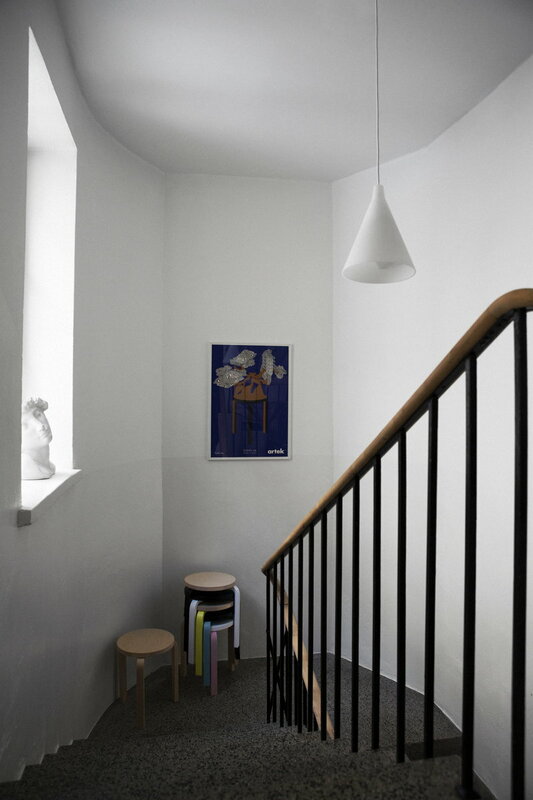 Bring a piece of iconic design to your home. 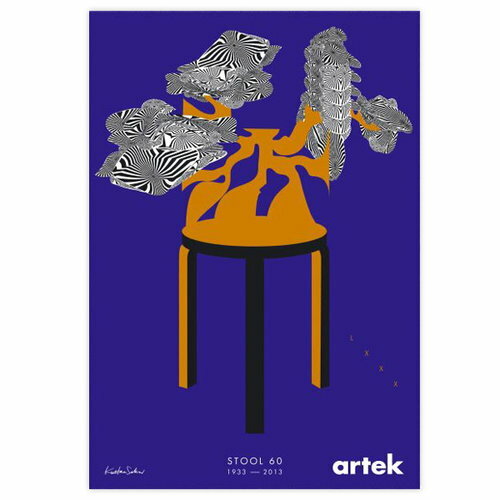 The Artek poster called the 80 Years Stool 60 celebrates the 80-year-old Aalto 60 stool, one of the icons of furniture design. The poster is designed by Kustaa Saksi.